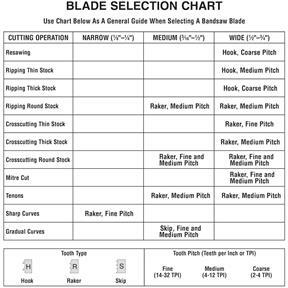 18 TPI Portable Bandsaw Blade, 3 pk. 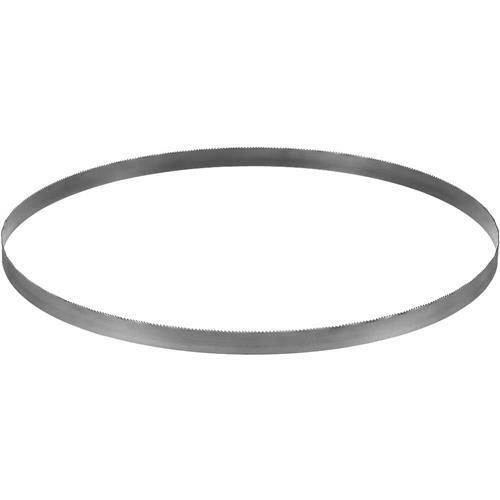 DeWalt DW3983C - 18 TPI Portable Bandsaw Blade, 3 pk. DeWalt Bi-Metal portable bandsaw blades incorporate the Matrix II High Speed Steel Edge for heat and wear resistance and have an 8% cobalt content for added durability and wear. RC 65-67 tooth hardness also increases wear resistance. The have an alloy steel backer for fatigue resistance. Applications include thick metal, medium metal, and thin gauge metal cutting. Package of (3) 32-7/8" blades, 18 TPI.